Tariq Drabu purchased Langley Dental Practice in Wood Street in 1998. This dental practice has been operating since 1965, but was tired and in desperate need of some TLC. When Tariq Drabu purchased the practice it only had two dentist chairs is a compact practice which served over 1,500 patients. With the help of Tariq Drabu and is supportive team, they have pushed this business to become one of the top dental practices in the Greater Manchester area which is now the preferred choice for over 15,000 patients. Because of the sorry state of the practice, Tariq Drabu closed the surgery for six months in 2005 while it underwent a £350,000 refurbishment which pushed it into a large, modern and high tech facility with four dentist chairs. The money wasn't only spend on the expansion of the property. Tariq Drabu ensures his patients receive the highest level of care with state of the art equipment, including clean air conditioning and computerized x-ray machines. Over the past fourteen years of running Langley Dental Practice, Tariq Drabu has put together a small, yet dedicated team of dental professionals who all focus on patient care and providing their patients with outstanding service. The team at Langley Dental Practice is made up of five qualified and experienced dentists. The entire team are born and educated in the United Kingdom and all focus on patient care. The five experienced dentists, which includes Tariq Drabu are supported by a fantastic staff made up of nurses and receptionists, all dedicated to ensuring the patients are both comfortable and relaxed when visiting their practice. Langley Dental Practice has been in the same spot for almost fifty years and is ideally located close to the M60 Motorway and public transport network. The bus stop is right outside the door, while the M60 is only a five minute drive from the location. Tariq Drabu and his team provide patients with NHS and private dental treatments. All the NHS treatments are priced according to the governments set standard pricing which is amended on an annual basis. They believe their private prices for treatment not covered by the NHS are competitively priced, providing their patients with value for money dental treatments. Tariq Drabu has put a lot of time and effort into Langley Dental Practice, ensuring it has the latest digital x-ray equipment, the best facilities and clean air conditioners. 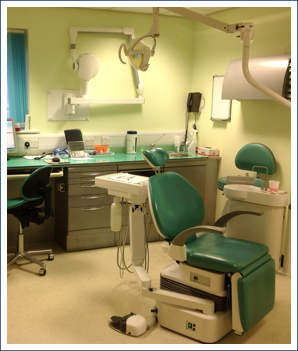 The desire to always put the patient first is highlighted in the refurbishment which was carried out in 2005, ensuring patients arrive to a clean, modern and high tech facility which can provide them with the dental treatment they need. With Tariq Drabu's passion for education and learning, Langley Dental Practice has become a top training facility for future dentists and has been chosen by North western deanery as a training practice for seven years running. Any practice which is chosen for training is a good choice, due to their exceptionally high standards and ability to train future dentists in their chosen career. The hard work and effort put in by Tariq Drabu and his team hasn't gone unnoticed by the British Dental Association Good Practice Scheme. The Langley Dental Practice received membership to this scheme in 2011. Tariq Drabu and the team were delighted in being recognised for such a prestigious scheme, a sign that the practice was one of the top choices in the Greater Manchester area. Today, the Langley Dental Practice continues to provide patients with the highest level of care whether they are seeking emergency treatment or dental implants, tooth whitening or dentures, to name a few.